What is one of the biggest risks in the hospitality business? How about the risk to not only your reputation but your company’s bottom line after the scandal of a pet infestation hits the ears of the public? That stellar reputation that you have worked so hard to earn can be gone in a flash, all because of one infestation of creepy crawlers or critters. Partnering with a pest control company is of the utmost importance for many business owners but in particular, those involved in the hospitality business. Don’t let the occupancy rate of your hospitality business suffer because of a family of bugs or rodents moving in and never moving out. PEST has proven, environmentally safe methods of pest control delivered by experienced and knowledgeable technicians. Don’t wait until your business needs saving. Protect your business before it gets in trouble. And of course, flies and ants can be a problem no matter where you go, given the right conditions. Additionally, there are pests that are indigenous to particular states due to the weather, humidity levels, terrain, etc. Why Do You Need Hospitality Building Pest Control? The friendly and helpful staff at PEST has a complete understanding of the common but unique challenges presented by properties providing lodging. Thanks to our tireless efforts, we have the solution that every hotel, motel, and lodging facility with an infestation problem has been searching for. We will inspect the outside of the building as well as the inside of your building because both of those evaluations put together will assist us in determining the exact problem, the best method of treating it, the most appropriate method of future prevention, and how to monitor your individual situation. What about one of the most common but nearly epidemic proportioned problems and threats to the lodging industry today – bed bugs. They are something that we deal with a daily basis and can assist you in gaining control over. Don’t let these seemingly unstoppable pests ruin your reputation. Rather, allow us to apply our aggressive strategy to bring the problem under control and eliminate it entirely. Why Choose PEST for Hospitality Building Pest Control Services? 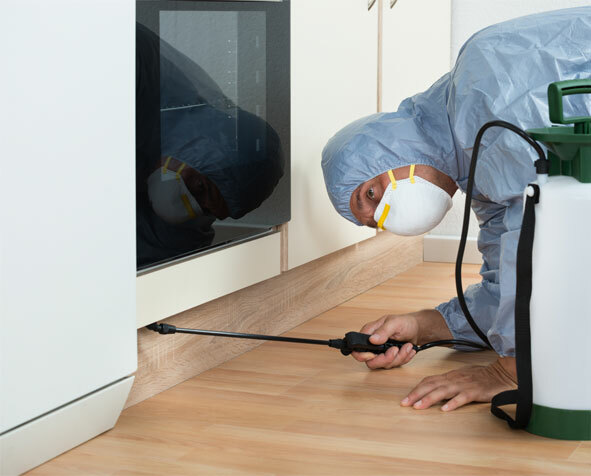 With more than 30 years in the pest control industry, Pest Elimination Systems Technology, Inc. is widely recognized as one of the top pest control specialist companies in New York. Even if you don’t think that your hotel, motel, or other lodging facility has a current pest problem, we can come in and, through our experience and high-tech training techniques and detection methods, find the early warning signs to prevent a severe outbreak or infestation in the future. Our friendly and helpful technicians will work hand-in-hand with you to provide personalized, detailed plans as to how to prevent damage not only to your facility itself but your reputation and that ever-important bottom line. Give us a call today or email us to schedule an evaluation or treatment session. We will help you rid your pest issue for good!